Through all these years, Bollywood has given so many romantic couple pairs to us like Kajol and Shah Rukh Khan, Madhuri Dixit and Salman Khan, Katrina Kaif and Salman Khan, etc. But, there are also many on-screen odd pairs in Bollywood that haven’t just stunned us all with their great on-screen performance and chemistry. Today we are going to check out some of these odd pairs who captured our attention massively on the big screen! The film Piku is not just about the bonding between father (Amitabh Bachchan) and daughter (Deepika Padukone). Piku also showcases the compatibility of two completely opposite people (Irrfan Khan and Deepika Padukone). If you have watched the film already, then you might agree that Irrfan Khan and Deepika Padukone looked like pieces of the same puzzle! Undoubtedly, the sizzling chemistry between Anushka Sharma and Ranvir Kapoor in Ae Dil Hei Mushkil is hard to miss. But, you can’t deny that the chemistry between Aishwarya Rai Bachchan & Ranvir Kapoor was lesser than that! After her daughter’s birth, Aishwarya Rai Bachchan made a bang-on comeback in the industry with her gorgeous appearance in Ae Dil Hei Mushkil! Everyone admired and appreciated Alia Bhatt’s incredible performance in the recently launched film Razzi. In the film, Alia Bhatt & Vicky Kaushal’s subtle chemistry has won all our hearts! Even though this was Vicky Kaushal’s first time to share the same screen space with such a big mainstream start, he has worked in this film with absolute perfection! Not just Nawazuddin Siddiqui’s performan ce, but the chemistry between Nawazuddin Siddiqui & Radhika Apte in Manjhi: The Mountain Man has moved us all! With stunning filmography, this odd pair has to stun us all with their beyond-the-expectation performance! Anushka Sharma’s film Phillauri won our hearts by showcasing the innocence of two people who are madly and deeply in love. 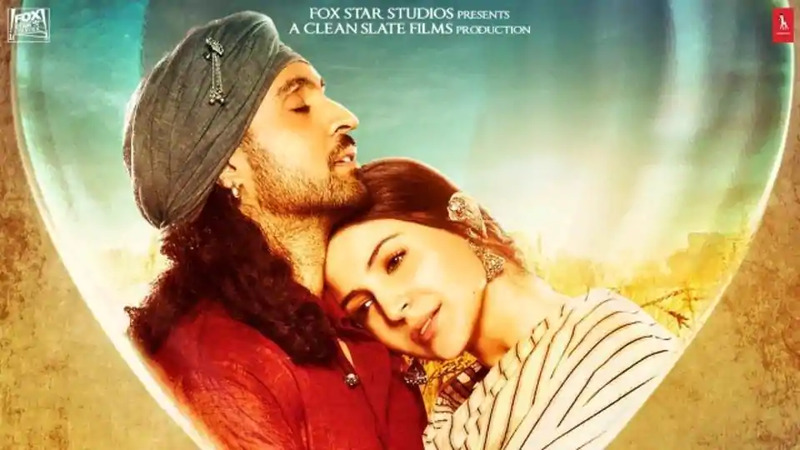 Diljit Dosanjh & Anushka Sharma rocked the entire film with their adorably cute on-screen performance and made us adore their individuality as well. Undoubtedly, their performance was brilliant and so as their in-between chemistry! Undoubtedly, the brutality was hard to miss in NH10 but Anushka Sharma and Neil Bhoopalam’s incredible performance has shocked us all. NH10 was Anushka’s first project as a producer and she has nailed it with her admirable performance as well! If you have watched NH10, then you would agree that both of them looked adorable together!